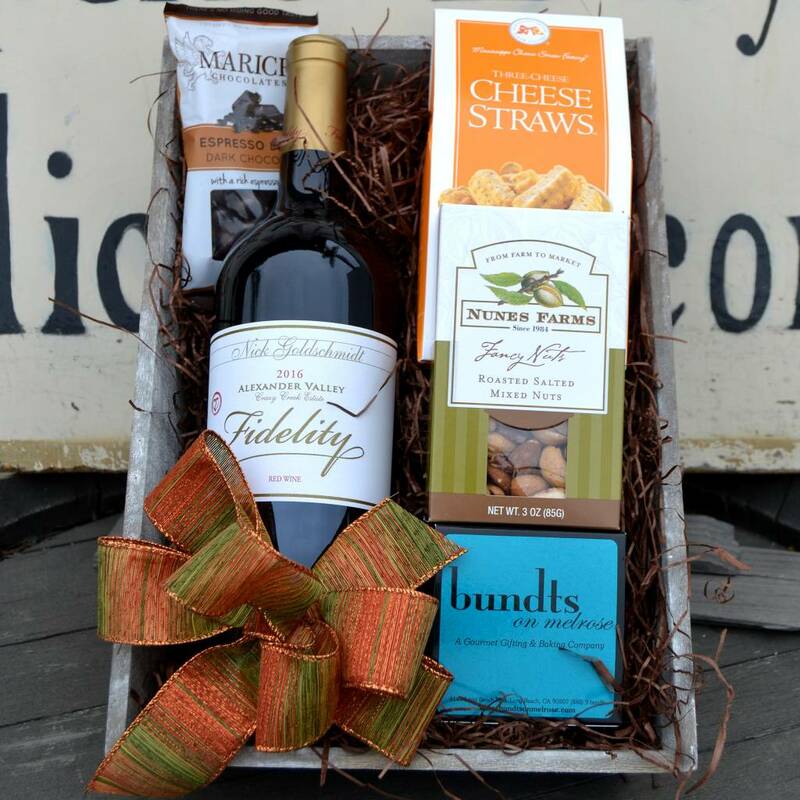 A bottle of Goldschmidt Fidelity Red Wine and yummy snacks make this basket a great gift for any red wine lover! Included in this basket is Fidelity Red Wine from the Alexander Valley by Nick Goldschmidt, Mississippi Cheese Straws, Nunes Farms mixed roasted nuts, Marich chocolate covered nuts and a box of Bundts on Melrose blueberry oatmeal cookies made just for the Wine Country. A great basket for any occasion!